Our Eco Home event was a great success, thanks to all who read the reviews and participated in the giveaways! Though our attic renovation is almost done (just need to get carpeting on the stairs), our toddler's room never quite got painted or finished before the arrival of baby T. Hence there are three absolutely fabulous sponsors that we haven't had a chance to feature yet, you'll see more of them this winter. Meanwhile you're welcome to check them out! They have fast and reliable shipping if you still need some ideas for presents. 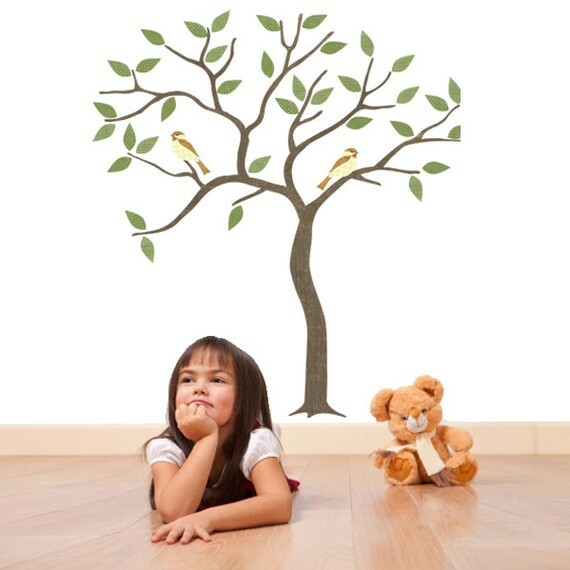 Pictured above is a tree we received for review from Restickable, an Etsy shop that creates designer fabric wall stickers for your little ones' room. There are so many wall stickers on the market today, but most of them are toxic vinyl. These are made from fabric and are a lot more healthy and Eco friendly. Our next sponsor is Pip & Co. of Australia, another gem when it comes to modern Eco friendly wall decor. The Tilly in Full Swing pictured above is something we chose to pair with the fabric tree. My daughter's absolute favorite activity is swinging on swings. 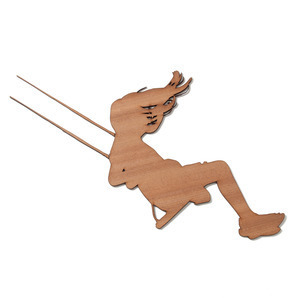 They also have other fun shapes perfect for any kids' room. Last but not least, Whitney Brothers makes Greenguard certified children's furniture. They sent us the Two Level Carousel Book Stand pictured above, a great space saving solution for kids who just love books. Most of their designs are geared toward daycare centers, but are also perfect for homeschooling and spacious homes. I love the two level carousel book stand from Whitney Brothers because it is greenguard certified and made of real wood! I look forward to the event! I love that book stand! Love all the wall decals from Restickable too.